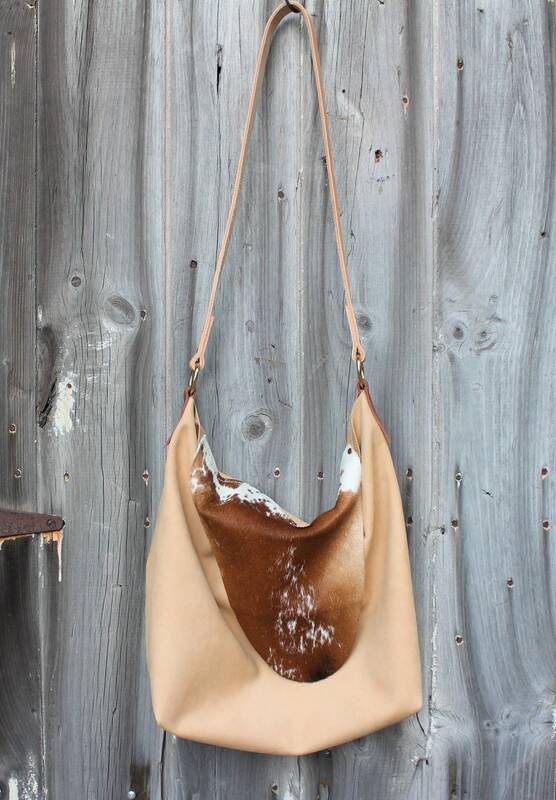 We create this unique one of a kind crossbody bag out of a beautiful tan leather with a nubuck finish. 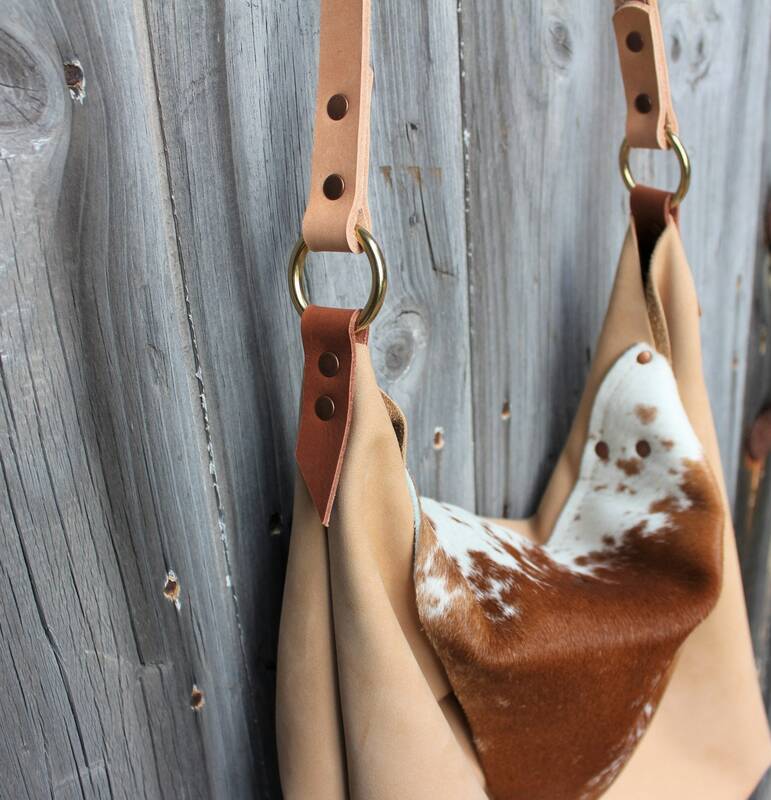 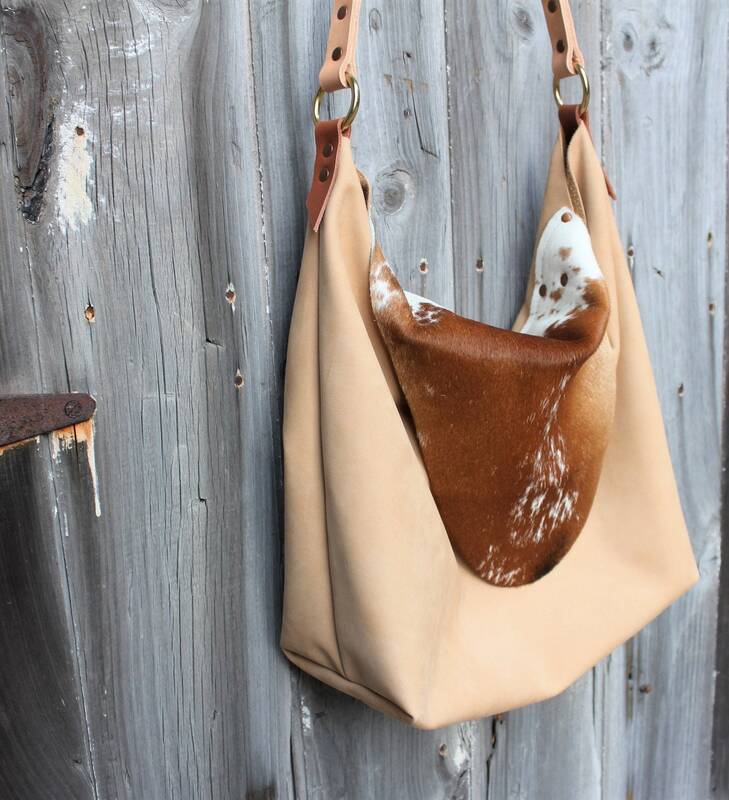 It has a slouchy Boho style to the shape with an easy large flap made from hair-on cowhide leather. 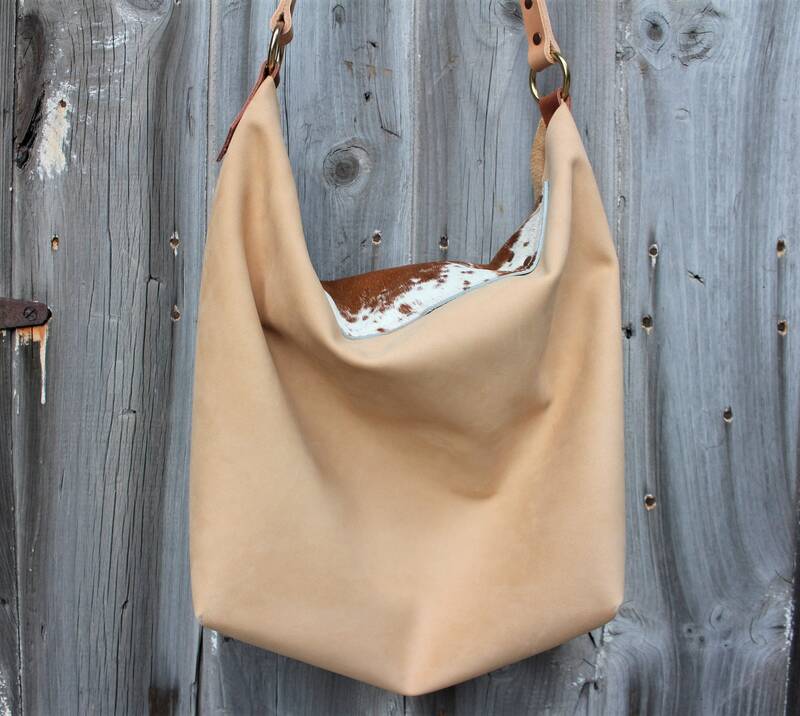 I chose to use the original shape of the hide for the flap giving it a very organic and natural feel. 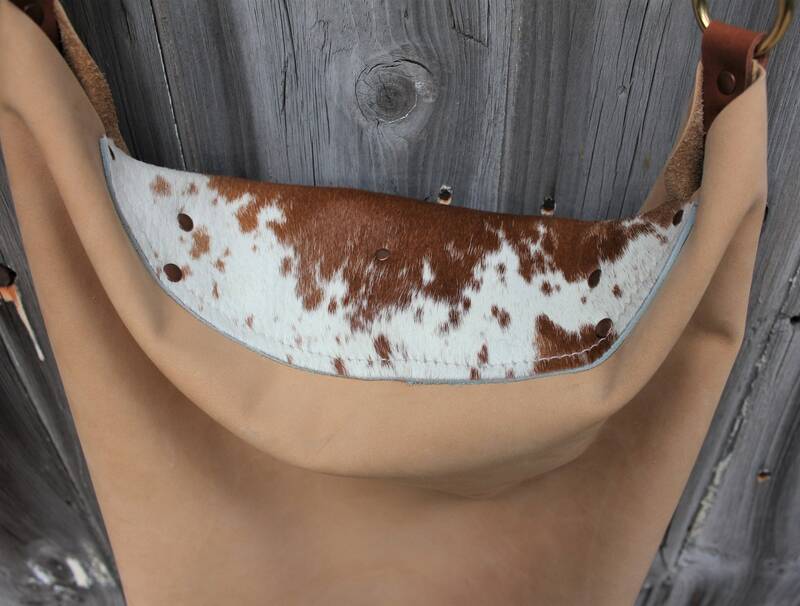 The strap is made of a heavy 8oz. 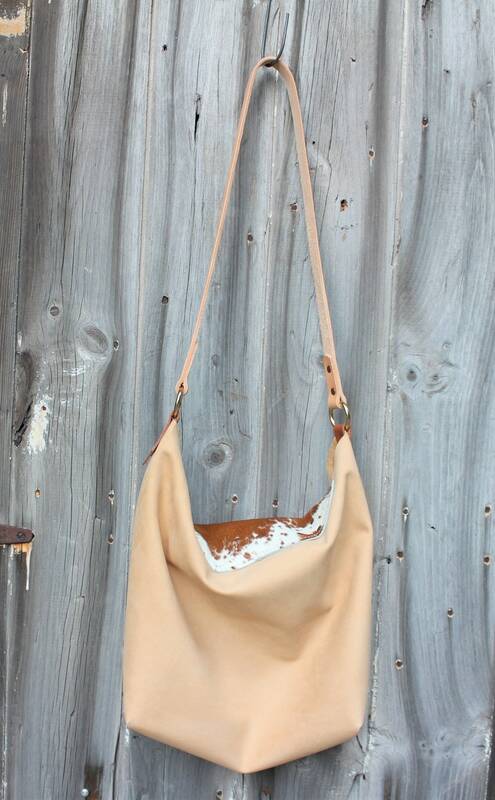 vegetable tanned leather and secured with large solid brass rings and antique copper rivets. 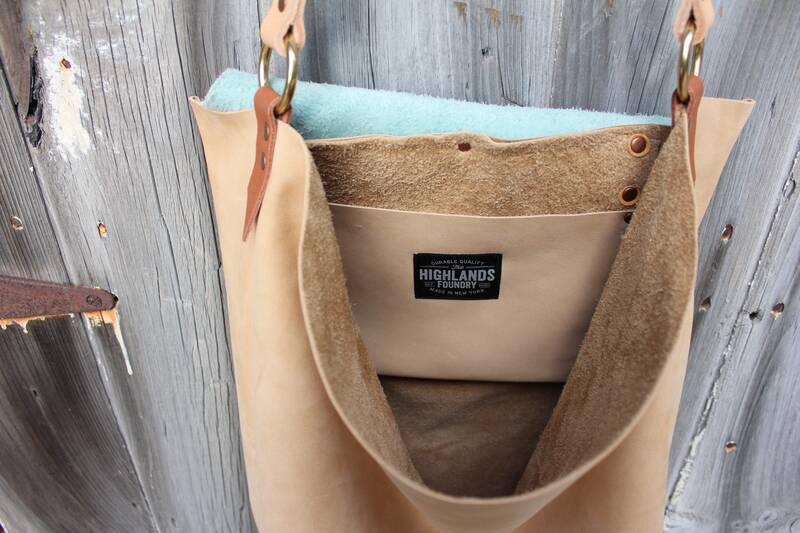 There is an interior leather pocket to hold loose things that's secured on with antique copper rivets.